[post_content] => Shingles is a disease that causes a painful rash and sometimes blisters on the skin. Other symptoms include nerve pain, itching, numbness and tingling. It is caused by the same virus that causes chicken pox. The virus is called varicella-zoster virus. 1 in 3 persons are likely to be affected by shingles at some point in their lives. Despite the name herpes zoster, shingles have nothing to do with the herpes simplex virus, which is the virus that causes oral/genital herpes. Compare pictures of shingles on face and those of cold sores to see the difference. You may notice that shingles on forehead pictures are not as proliferating as those involving the torso. This is because facial shingles is not the most predominant type. Once a person recovers from chicken pox, the virus does not necessarily go away from the body. It stays dormant and may be triggered by factors such as stress. The triggered virus becomes active and causes shingles. About 50% of all shingles cases are thought to be associated with weakened immunity. This is why people who have attained the age of 50 years are more predisposed to this condition. It is not possible to cure shingles. But since the condition’s symptoms can be of great discomfort, a variety of home treatments, including essential oils, home remedies and supplements, can be taken advantage of. This article examines the best home treatments for shingles. Natural remedies are not intended to really treat shingles. Their task is to improve symptoms and hopefully make the infection go away faster. Cool compress works by reducing itching. It can also relieve pain and burning. Another potential benefit is the fact that cold compresses keeps affected areas clean, which in turn helps to prevent bacterial infections. A cold spoon can be used in the place of a soaked cloth. A cool compress is more effective on shingles that have produced blisters. Baking soda excels at relieving itchiness. In its place, cornstarch can be used for the same benefits. Both may not only help in treatment but also in shingles scar prevention. Among other things, oatmeal baths soothe itchy skin and keeps it moisturized. The baths may effectively improve shingles on buttocks symptoms. Apple cider vinegar is an antiviral remedy and also helps keep shingles blisters dry. It should not be used on broken skin such as on ruptured blisters. 2-4 cups of apple cider vinegar can also be added to bath water for similar results. Baths are more effective when dealing with cases such as shingles under both armpits. Capsaicin is a substance found in red peppers. It is thought to reduce nerve pain that may be caused by shingles. The easy it way to use capsaicin is purchasing ointments that contain it. You can alternatively make a paste with red pepper powder and water or shingles ointment. 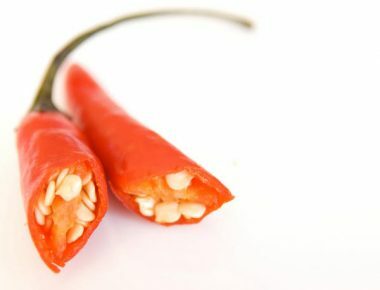 Avoid using capsaicin on ruptured blisters. Honey has for a long time been known to reduce pain and make wounds heal faster. It may also keep bacterial infections from occurring on affected areas. Due to its mildness, manuka honey can be used even on broken skin. To use it, dab some manuka honey on affected areas and leave to dry. Raw honey can be used for similar benefits when manuka honey is not available. Neem leaves are said to have antiviral properties. Daily application of a poultice of neem may therefore promote recovery from shingles. Natural remedies may in addition to generally improving shingles and its symptoms prevent cases such as shingles eye contagious. Shingles itself is not contagious, but the herpes zoster virus is. Essential oils are commonly used to improve a variety of skin conditions. Since most of them are usually in high concentration, and therefore users are advised to dilute with carrier oil. Good examples of carrier oils include extra virgin olive oil, coconut oil and jojoba oil. In regards to shingles treatment, geranium oil is best known for its ability to reduce nerve pain. See what does shingles nerve pain feel like? Traditionally, the oil has been used to improve conditions such as atopic dermatitis as well as an antiseptic. Coconut oil can be used on its own or as carrier oil. It soothes irritated skin, thus reducing both itching and pain. Coconut oil is also relatively mild and can therefore be used even on sensitive areas of the body. If there are chances to think that shingles is being caused or made worse by stress, lavender oil may prove the best essential oil to use. Other than being a natural antiseptic, lavender oil also induces relaxation. It also promotes aromatherapy which may come handy in home treatment for shingles. 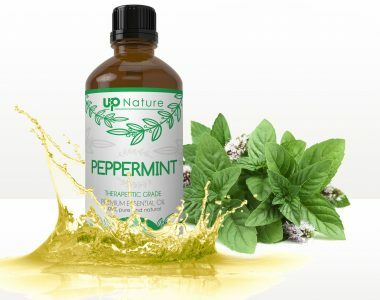 Peppermint oil works by reducing stress and relieving itching, and it may even reduce swelling if present. Other than that, the oil also promotes aromatherapy such as that can relieve shingles leg pain. Tea tree oil is popularly known for its ability to reduce inflammation and prevent microbial infections. It may also succeed in relieving itching caused by shingles blisters. Caution should be taken when using tea tree oil on largely blistered areas. Internal administration should not be attempted. Essential oils for shingles are perhaps the best home treatments when it comes to reducing discomfort caused by shingles symptoms. Better results may be achieved by trying several of the recommended oils to see which works the best for you. DoTerra stores are a good place to start. Although experts are yet to understand the exact reasons why shingles occur, one widely accepted fact is that weakened immunity is a major risk factor. Certain foods may help improve general health status while others can degrade a person’s immunity. Vitamin C – vitamin C is found in citrus fruits and vegetables. It plays a very important role in development of strong immune system as well as skin health. Green vegetables – powerhouses of vitamins, minerals and antioxidants, green leafy vegetables are always recommended for stronger and more active immune system. Vitamin B – specifically, B vitamins are needed for normal nervous system functions. Since the shingles virus stays dormant in the nervous system, taking foods such as fish and eggs may help prevent outbreaks. Garlic – the best garlic benefits in regards to treating shingles are achieved after ingestion rather than direct application to affected areas. In the place of garlic, onions can be used. Plenty of fluids – fluids are very important in the body, particularly water. Water plays part in roles such as detoxification, pH regulation and blood circulation. Saturated fats – just like carbon-based substances leave ash behind after burning, foods produce a form of ash after being metabolized. Saturated fats leave behind more of this ash, making them highly acidic foods. Such foods worsen the symptoms of a disease. Caffeine – caffeine is a stimulant which works by raising your metabolic rate. This, among other things, leads to dehydration. Processed sugar – you may have heard that diabetes patients often suffer from weakened immunity. More sugar in the blood than required leads to reduced number of immune cells thus higher chances of getting infected. Beverages and juices – carbonated beverages and fruits juices are not great options to go for when you are dealing with a shingles outbreak or when preventing one. Other than foods, supplements also can be used as natural remedies for shingles. Lysine – more lysine in the body keeps arginine from being absorbed in plenty. It has been observed that arginine encourages shingles. Zinc – zinc is an important building block of a healthy immune system. Its supplements may be able to make shingles milder when taken early. Vitamin B12 – reduces pain caused by shingles and may shorten the recovery period. Before using a supplement, always check with your doctor. Stress is a common shingles trigger. In its continued presence, shingles symptoms worsen and recovery may be long in coming. You can try options such as meditation, massage, acupuncture, exercises, yoga, talk therapy, short walks and so on. No doctor will give you medication to make shingles go away for good. However, there are medications to be used at home which promote faster recovery. Talk with your doctor before using any medications. Terrasil shingles ointment reviews may also help. A number of tests may be necessary to confirm diagnosis as to what underlying condition may be causing shingles. This is particularly important in the case of recurring infection. Patients should always check with their doctors before major decisions. This is especially when it comes to treatment for shingles in children. Wrong treatment can easily lead to complications such as other infections, scarring, nervous damage and severe rash.